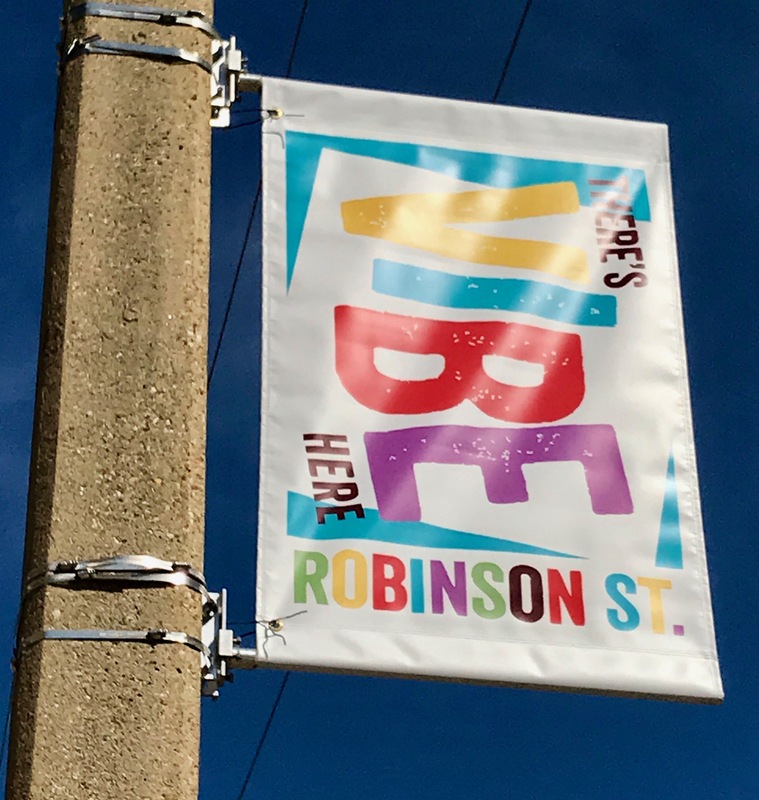 Walk, ride, or drive down Robinson Street and look up. There are now 44 permanent banners decorating various poles from Idlewood to Broad Street. 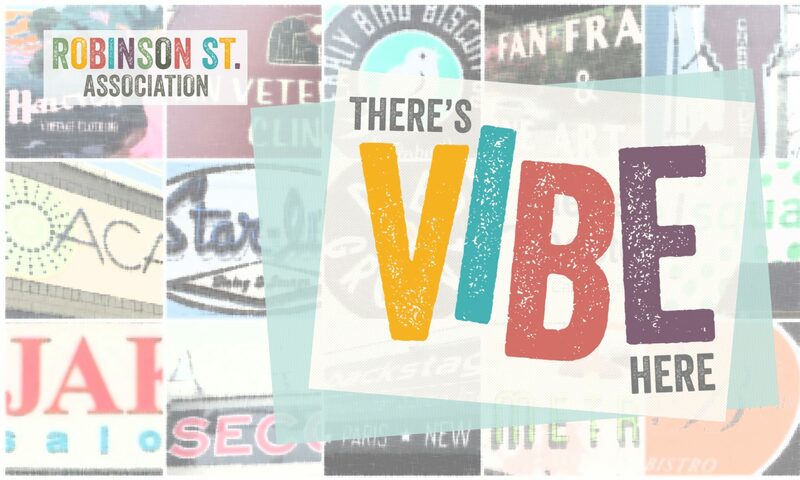 The initial banner is proclaiming “There’s VIBE Here” as part of our first branding effort to create our identity here in RVA. Future banners will be communicate other messages about our neighborhood or will be seasonal in nature. The Robinson Street Association appreciates the generous contributions by the Monument Companies, the Historic Monument Avenue and Fan District Foundation, and the Fan District Association for this project.